For students in East Tennessee, the start of school is just a few weeks away now, but there's still time to make the most of summer with a visit to Dollywood. The Star Spangled Summer Celebration comes to a close on August 5th. It's already been a busy summer at this theme park in the Smoky Mountains with appearances by Drumline, America's Got Talent's Iluminate (which runs through July 21st) , Paint Jam and many other showstopping acts. Of course the BIG star is probably the fireworks show just before the park closes. Here are a few scenes from Dollywood's Summer Celebration, just one part of a Season of Showstoppers. The late hours at Dollywood’s summer celebration give the park a very different feel. The new Dropline ride is even better to ride at night. 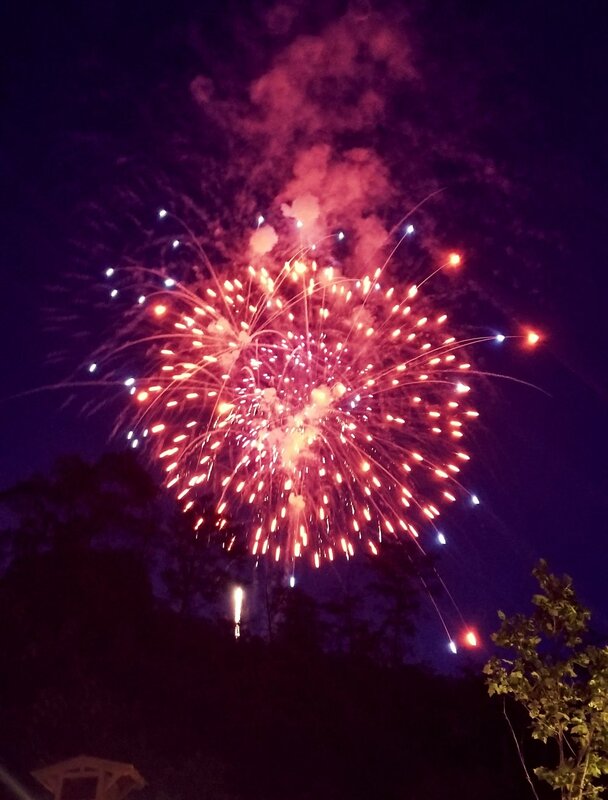 Every night of the Star Spangled Summer ends with a grand fireworks show set to music. Dollywood’s Showstreet Palace Theater is the home of the Kingdom Heirs, a Southern Gospel group that’s been a part of the park for years. Thunderhead is one of America’s favorite wooden roller coasters. Mystery Mine is one of those rides that’s hard to describe, but with longer park hours, take a ride on it night for a truly unique experience. This fountain at the new River Plaza is a great place to relax and maybe even catch a show. The River Rampage was the first ride added when the park transformed from Silver Dollar City to Dollywood.